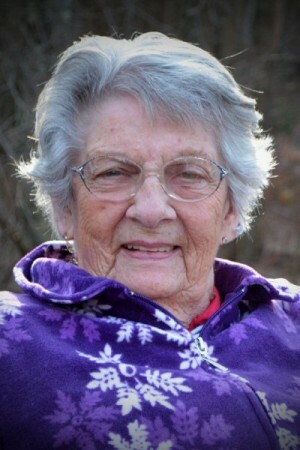 PHOENIX, NY – Mary Irene Judd, 85, of Waterford, Maine, former Pennellville resident, passed away in Lewiston, Maine, on Friday March 22, 2013. She was born in on June 25, 1927, to her late parents, Doris F. (Duggleby) and Russell C. Wilson in Oneonta, NY. She was a graduate of Oneonta High School, class of 1945. Mary was a singer for the radio station WGY, in Schenectady, NY. Later she worked for Phoenix Central Schools, Phoenix. She was an active member of Oxford County United Parish, in Bethel, Maine, and a former member of several churches throughout her life. Mary was predeceased by her husband, Rollin L. Judd Sr., in 2000; a daughter, Teresa Joan Hood, in 1991; a brother, Russell Wilson. Her survivors include, her children, Linda J. Kellogg of Pennellville, Rollin L. (Deborah) Judd Jr. of Fulton, Steven R. (Patricia) Judd of Camden, NC; her sisters, Beverly Graves of Oneonta, Sandra (John) Wilson-Stalker of Pennellville and Joann (George) Lanty of East Syracuse; 13 grandchildren; 29 great-grandchildren; one great-great grandchild; several nieces, nephews, cousins; her companion, Vernon R. Vincent of Waterford, Maine. Visitation will be only on Wednesday in the Pennellville United Methodist Church from 2 to 6 p.m. Contributions may be made to this church in Mary’s memory. Allanson-Glanville-Tappan Funeral Homes, Inc., Phoenix, NY has care of arrangements.